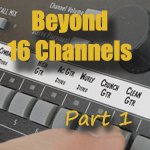 In Part 1 of this post we covered the expansion of a personal mixing system beyond the basic 16 inputs using multiple analog input modules for the input sources. Going beyond 16 input sources allows you to keep more content in stereo, and that can help you create more realistic monitor mixes on stage or in the studio. If you use a digital mixing console that uses optional console cards to output Aviom’s A-Net protocol for a personal mixing system, expanding the total input count may be as simple as adding a second expansion card. Console cards for Yamaha digital products are available from Aviom as well as from our product partners who build console cards for their products using Aviom’s A-Net technology. Like analog input modules, Pro16 console cards are also built in 16-channel increments, so that means that a network can use a maximum of four cards in a digital console for a total of 64 input sources (at 44.1/48kHz). Check with your console manufacturer to find out how many console cards each model can support. 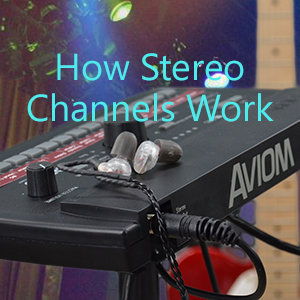 Once you have more input sources in your network, setting channels as stereo pairs will make them appear on a single mix channel button on the A320 and A360. If you install multiple console cards in your digital console, what you end up with is a situation where you have up to four Cat-5 cables, each with its own separate 16-channel A-Net output. These individual A-Net outputs need to be merged into a single stream of Pro16e A-Net data so that they can be used by A320 and A360 Personal Mixers. 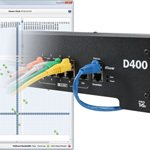 The D800 and D800-Dante A-Net Distributor have an A-Net Bridge input that can accept up to four card’s A-Net outputs with the help of the SB4 System Bridge. The SB4 System Bridge has four A-Net jacks on its rear panel; each can support one console card A-Net output (note that they must be from the same clock domain). The labels indicate which network channels each card’s data will be assigned to: 1-16, 17-32, 33-48, or 49-64. But sometimes installing a second console card is not an option. In Part 3, we’ll cover using a combination of a console card along with an analog input module to expand a network’s input sources.